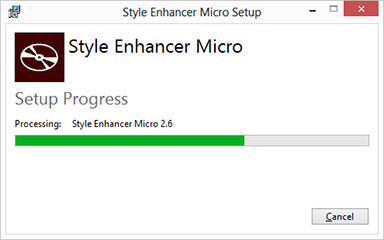 The Style Enhancer Micro 2.0 trial version includes only 30 Styles. For Cubase/NUENDO users: After installation of Style Enhancer Micro please copy mfxwrapper.dll file from \Program Files\NTONYX\SEM20 folder in the "Components" folder to your Cubase/Nuendo directory. After installation just close it.